Move over, Mazda CX-5. 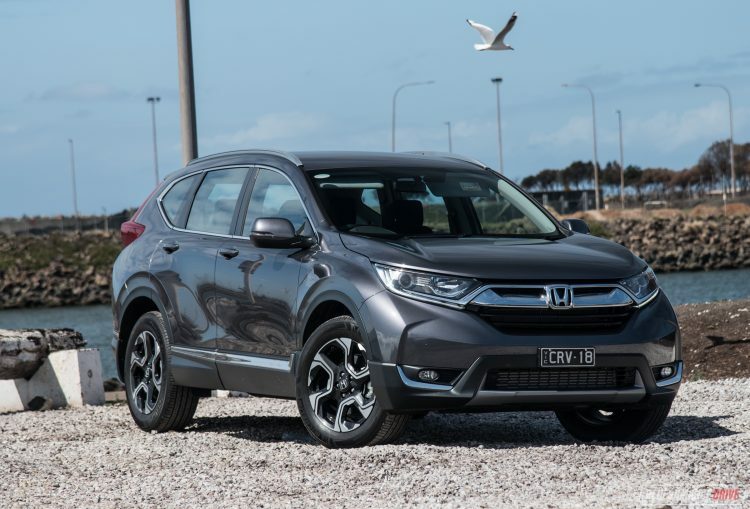 Honda is ready to swipe some of your sales with this, the new CR-V. And on first impressions, it has the potential to really reset the sales rankings on the medium SUV leaderboard. 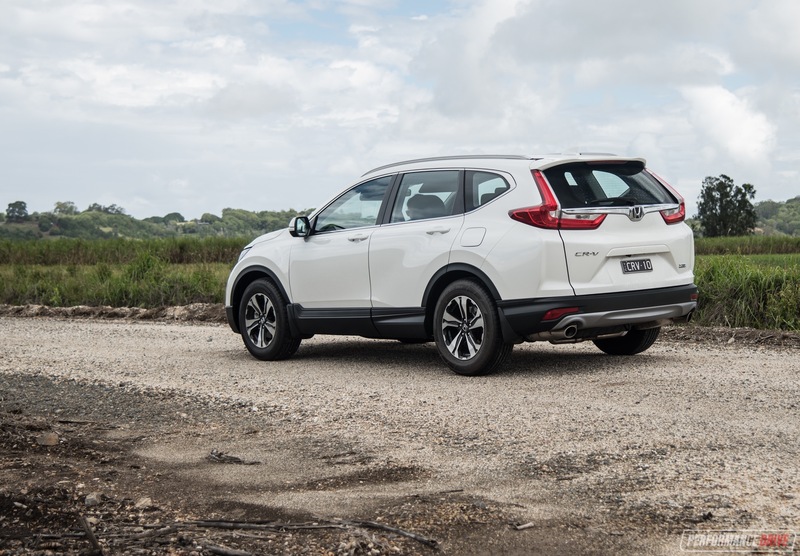 Honda Australia offers a variety of five different variants of the new model, including front-wheel drive and four-wheel drive options, and a new seven-seat model (a first for the CR-V and one of only few in the segment). Variants span from VTi, VTi-S, VTi-L (7-seat), and VTi-LX, with the VTi-S available in either two- or four-wheel drive. 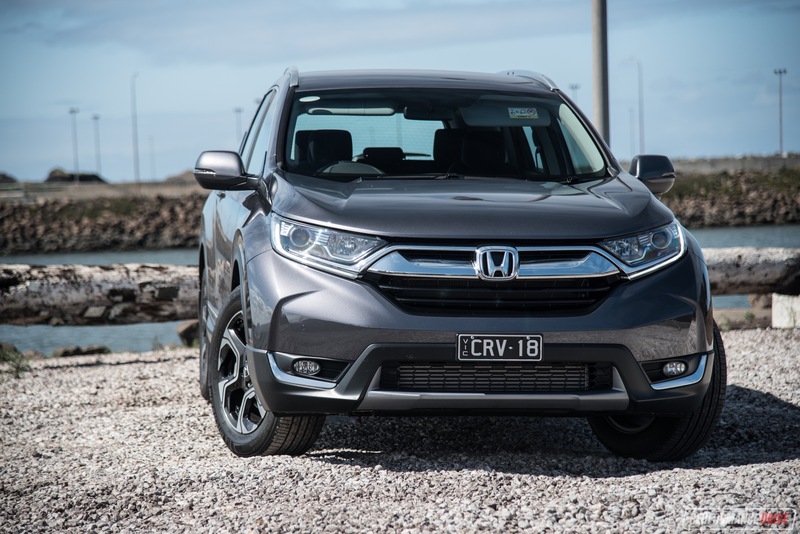 You may have remembered the CR-V as a pretty small SUV. Forget that. The new model is big. Very big, actually. Measuring 1855mm wide and 4596mm long, it’s 15mm wider and 46mm longer than the CX-5. 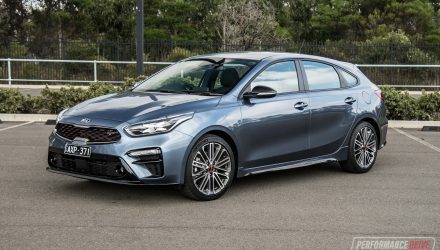 Some criticisms have been thrown about in regards to the exterior design, but we like the bulging wheel arches and pinched contours. They give it a muscular stance we think. The dimensions aren’t just for show. Inside is huge. This is definitely one of the largest SUVs in the class. Open any of the wide-opening doors (easy to get in and out) and you’re instantly taken back but just how accommodating the cabin is. It’s all airy and open with very little potential for claustrophobia, with one of the best centre consoles in this class, in our view. 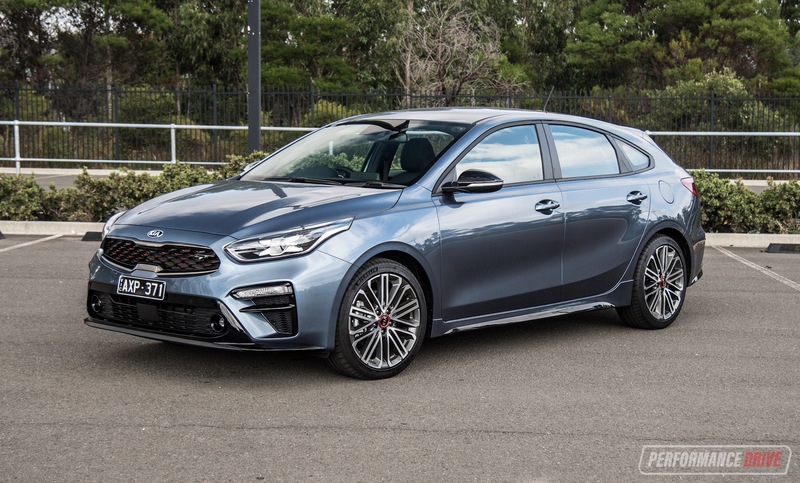 There’s heaps of legroom in the back as well, with climate vents in all models and twin USB ports and cup holders in the flip-down centre arm rest, with bottle holders in the doors. Sometimes just finding a place to store your phone can be a nightmare in vehicles. Not in the CR-V. There’s a neat grippy shelf at the front of the console area, and then a humongous centre console box with dual levels. The second level is adjustable and completely removeable, allowing you to tuck away various valuables. With the shelf removed you could probably get an entire handbag in there… well, maybe one of those clutch bags or a smaller handbag (obviously we don’t know much about women’s fashion here at PD). 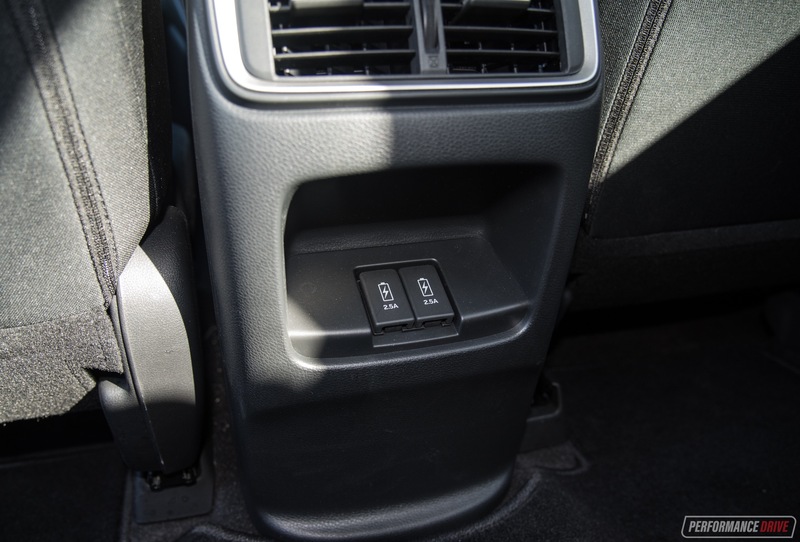 As a bonus, the centre console box offers two USB ports (1.0 amp and 1.5 amp), a 12-volt socket and a HDMI port. There’s also another 12V socket right near that little phone shelf we spoke about. You can really tell Honda has actually engaged with buyers in this segment to find out what people want. It’s great. And this is all offered in every model, including the base VTi. 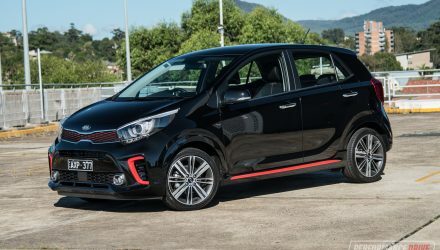 Other highlight features and equipment include a variant-wide touch-screen media interface, with a rear-view camera and Apple CarPlay and Android Auto, for all models as standard. Sat-nav is fitted to the VTi-S models and above, while digital radio is only included in the top VTi-LX. Sounds beat through an eight-speaker audio unit (many base model rivals come with six speakers), which produces decent quality and clarity. 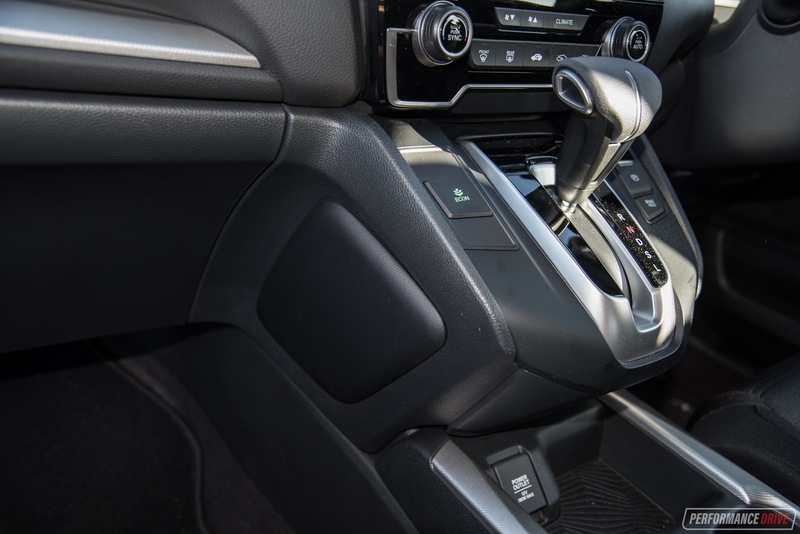 A dual-zone climate control system is also fitted as standard on all models, amazingly, and there’s keyless entry with a walk-away automatic lock function, with push-button start for all models. Some knee pads are included on the sides of the centre console for the driver and passenger for added comfort. All of this stuff shouldn’t be overlooked in our opinion, as many of the rivals only share half of this with their respective equivalent rivals. 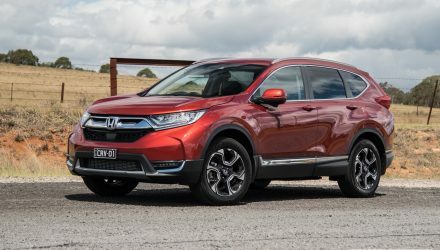 This helps make the new CR-V excellent value for money. As for usability and practicality, Honda has struck gold again. 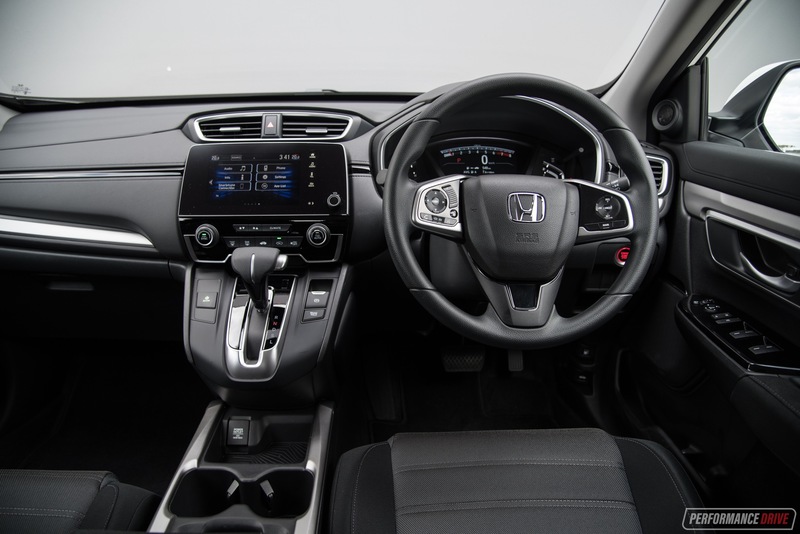 The universal touch-screen system is easy to operate, and, thankfully, Honda has fit a proper volume knob instead of the plus/minus buttons as featured in the latest Civic with the same screen. It’s great to see Honda taking on board criticism and applying swift solutions. The push-button start is located in a good spot, and the steering wheel controls aren’t so overwhelming they cause your brain to implode. 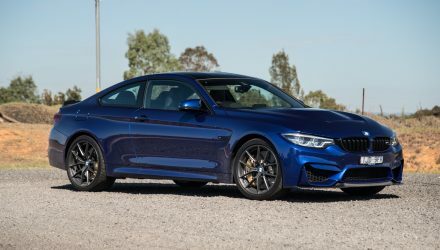 Activating the standard cruise control is a painless operation, and reading the digital instrument cluster and speedo (a bonus tech itself) is a breeze. This is a very cooperative and immediately-compatible vehicle to live with. 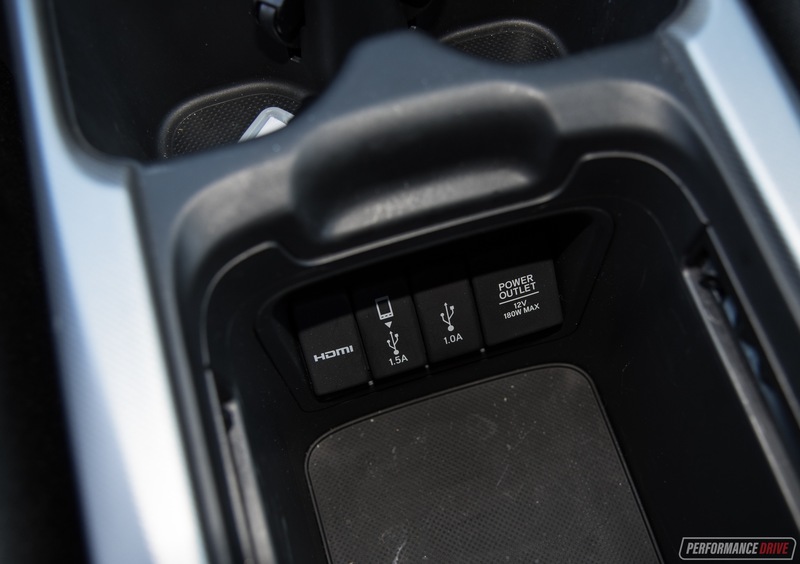 It’s easy to adjust the touch-screen and fully digital instrument cluster brightness, with a simple synced stalk, and a good breadth of seat adjustability with height adjustment for the driver in VTi form. 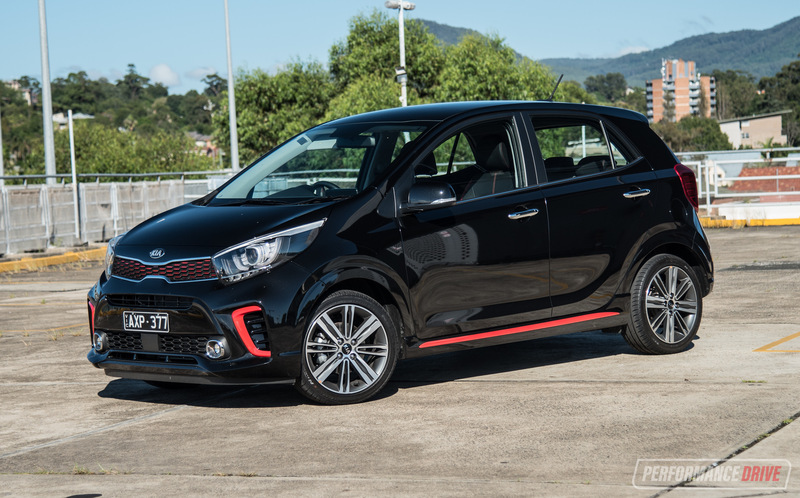 Even visibility, a fast-dwindling trait of the modern car due to swoopy designs, is superb, especially around the front A-pillar area thanks to a low-mounted side mirror and tall side windows. 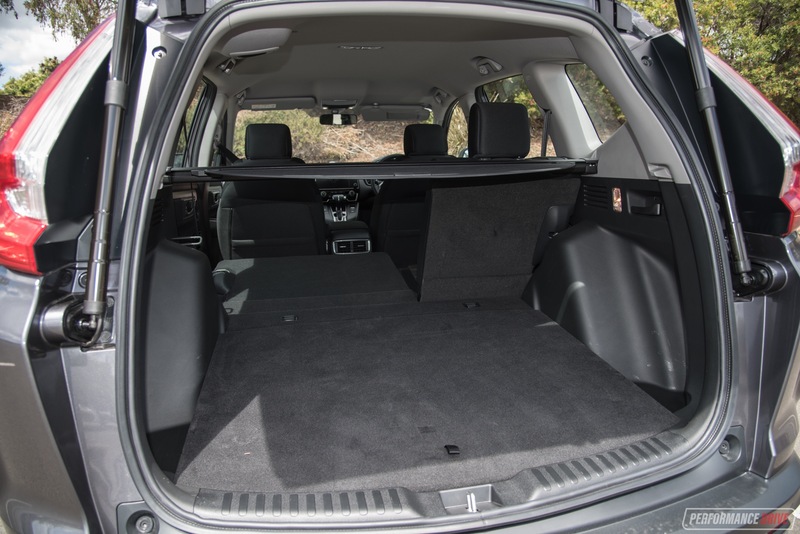 Open the cargo area (power tailgate for VTi-S and above), and you’re presented with a low floor for easy loading, with 522 litres of space or 1084L with the rear seats folded down. 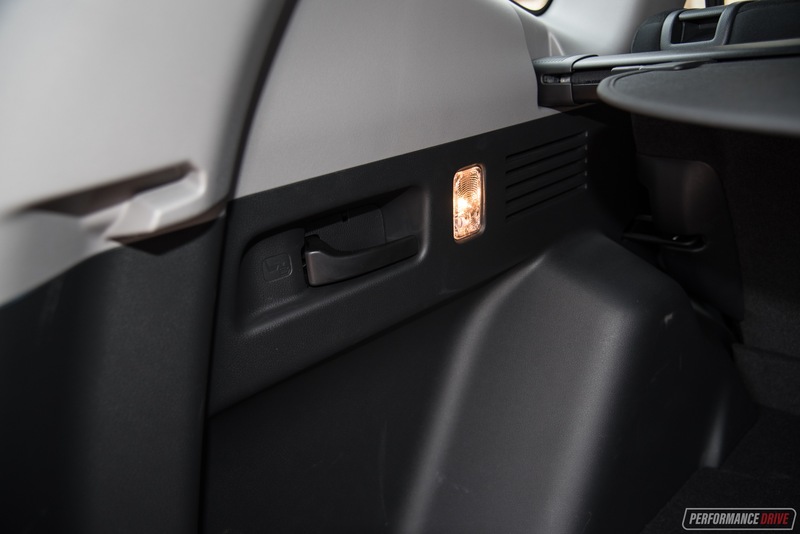 A handy pull-lever can be used from the rear to flip down the seats or from the rear door area. They fold down flush, too. 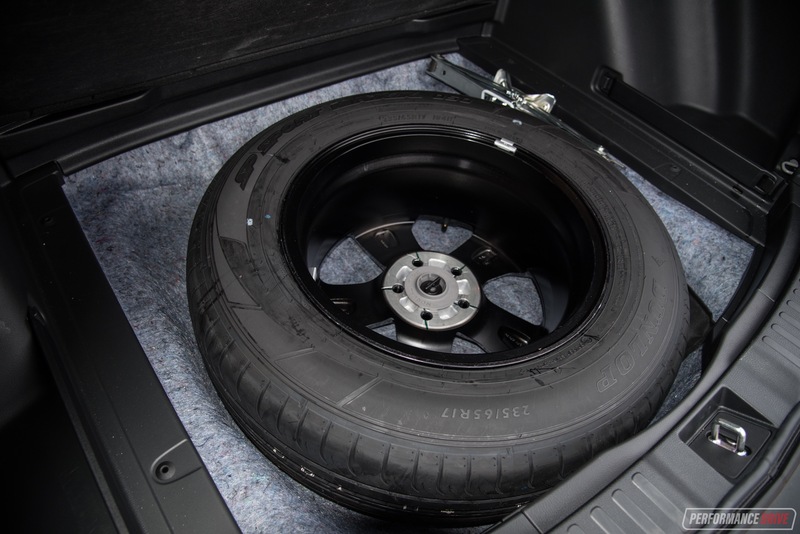 And there’s a full-size spare wheel underneath. 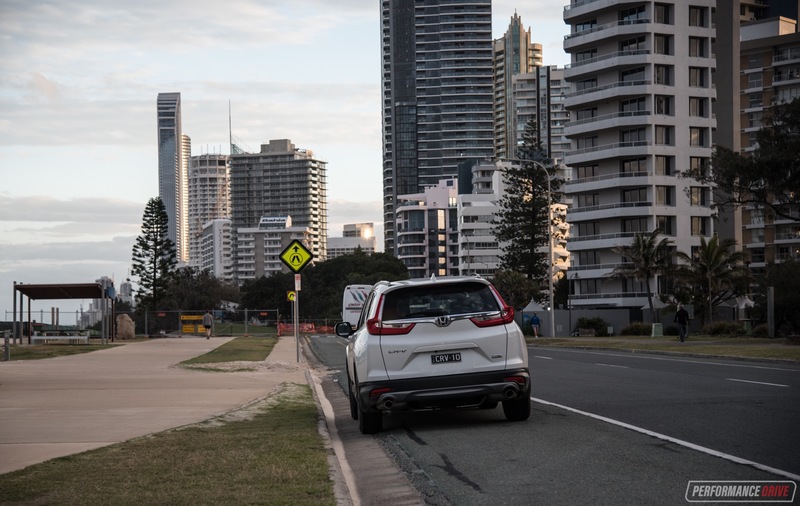 Compared with the segment front-runners, the CX-5 offers 442L/1342L and the Hyundai Tucson offers 488L/1478L, both in base FWD form. In the AWD CR-V, as featured here in VTi-S form (the grey one), these volumes don’t change despite the inclusion of a rear differential. 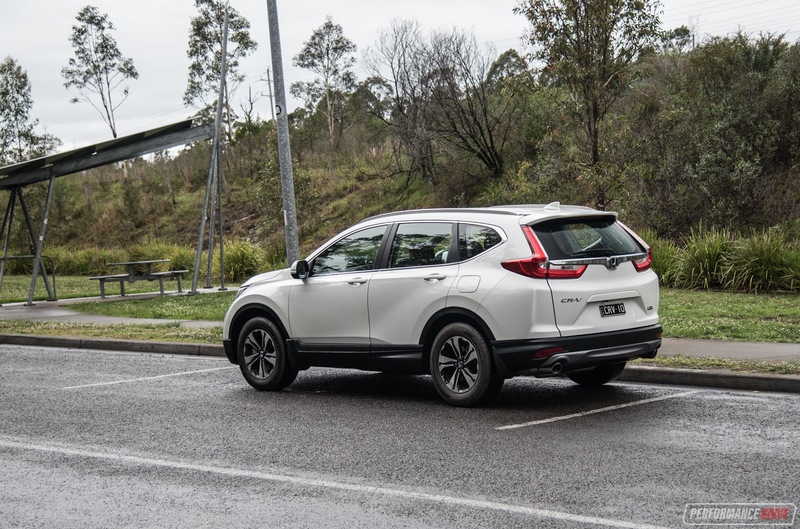 Considering most rivals use a space-saver spare (including CX-5), with some AWD models offering less volume than the 2WD counterparts, the CR-V is one practical beast of an SUV. 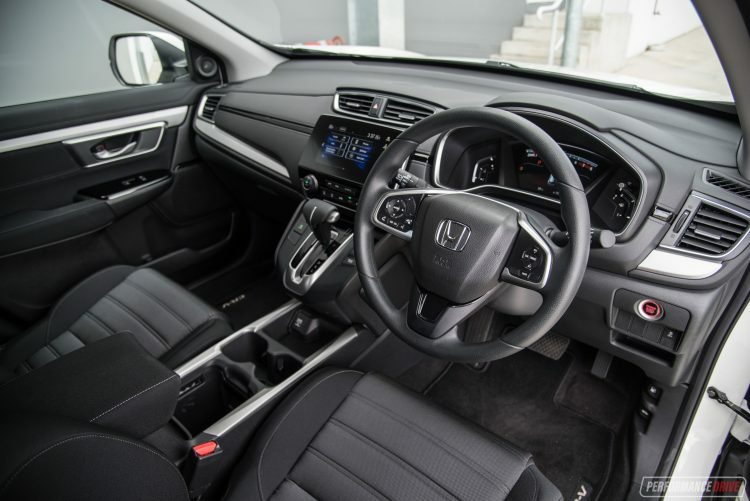 In fact, we’re convinced the new CR-V offers the best overall interior of this class at the moment, in terms of packaging, features, user-friendliness and space. 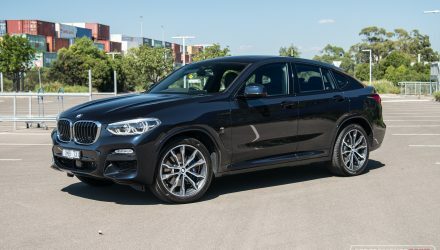 It might not be as flashy in design as the CX-5, but who cares, practicality is more important in the long run, particularly in this type of vehicle. 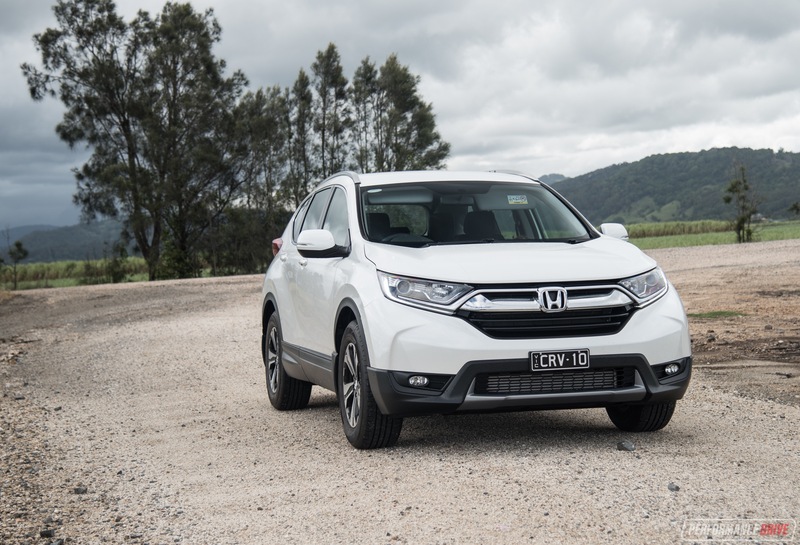 So in terms of living with it, the CR-V seems to be winning the race. How does it drive? In one word, it’s pleasant. Thanks to tall tyres on all models and a supportive yet forgiving suspension tune, the ride quality is superb. 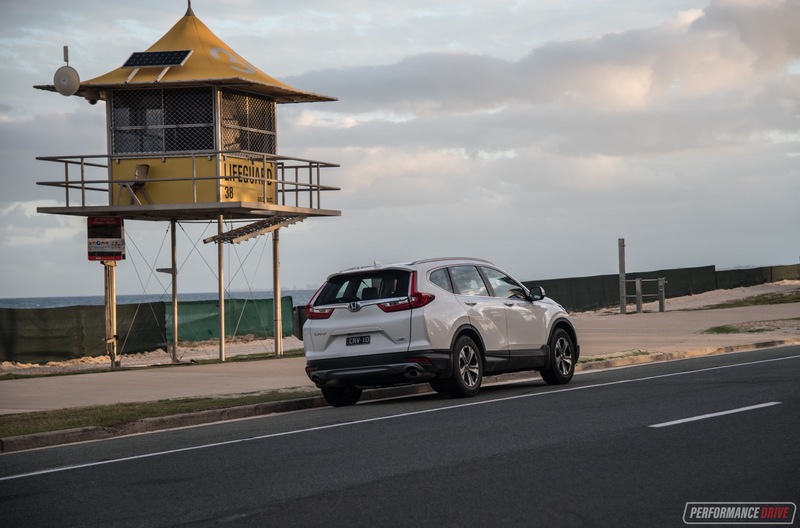 We drove this VTi all the way from Sydney to the Gold Coast, along some of the pretty ordinary roads in between the road works, and the CR-V soaked everything up with no problem. Having a firm or jittery ride can impact fatigue in a negative way, as you can end up using energy to adjust to any uncomfortableness. The chance of this is essentially eliminated in the CR-V thanks to the plush ride. Where this ride quality does have some drawback is with overall agility and spiritedness in the bends. The steering doesn’t provide the most feedback in the class – that’d go to the CX-5 – but there’s more than what’s offered in the other rivals. 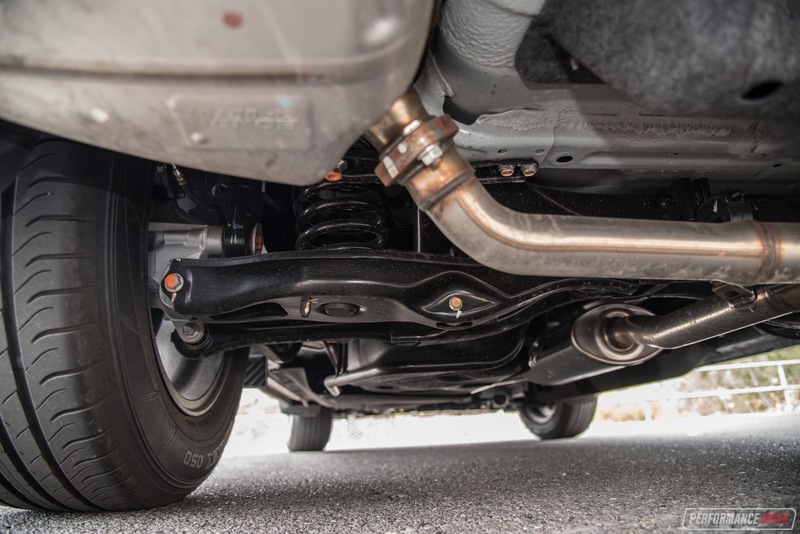 And, in the typical Honda way, the underlying suspension components, configuration and geometry is a proper setup. 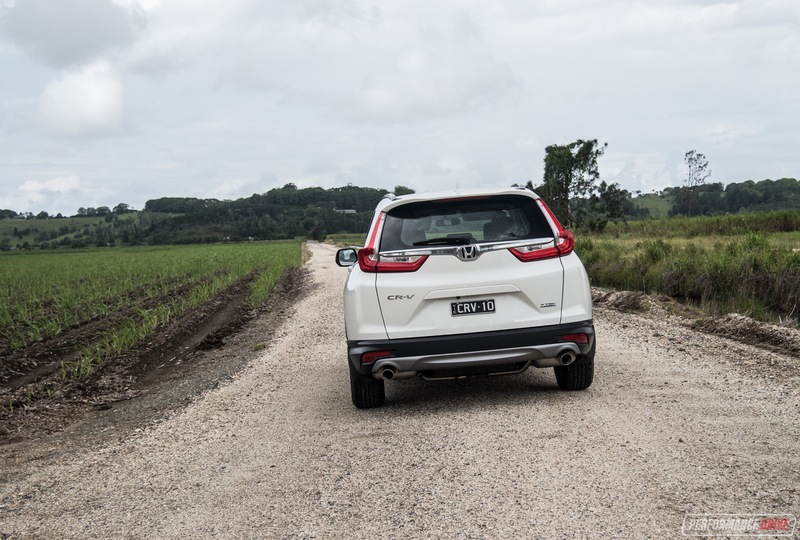 Which means the underlying foundations are actually well sorted and provide good handling. It’s just the soft/relaxed attitude of the steering and the tall tyres dilute some of this (Dunlop SP Sport Maxx 236/65 R17 on VTi and Michelin Primacy 3 235/60 R18 on VTi-S). Overall grip and cornering ability is near the top of the class, even though it might not immediately feel that way through your hands. If that makes sense. 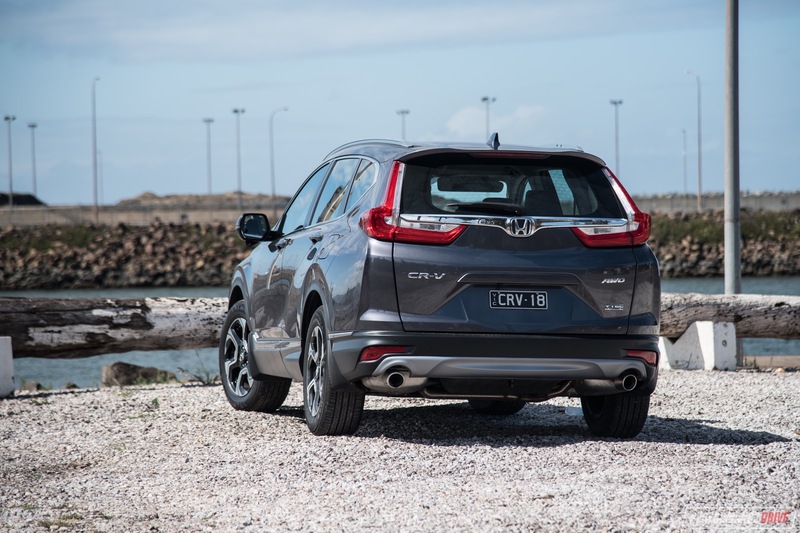 All new CR-V models are powered by Honda’s latest 1.5-litre turbocharged petrol four-cylinder engine, with no diesel option (yet). The unit is seen in the new Civic, but here it produces 140kW and 240Nm, up from 127kW in the Civic. 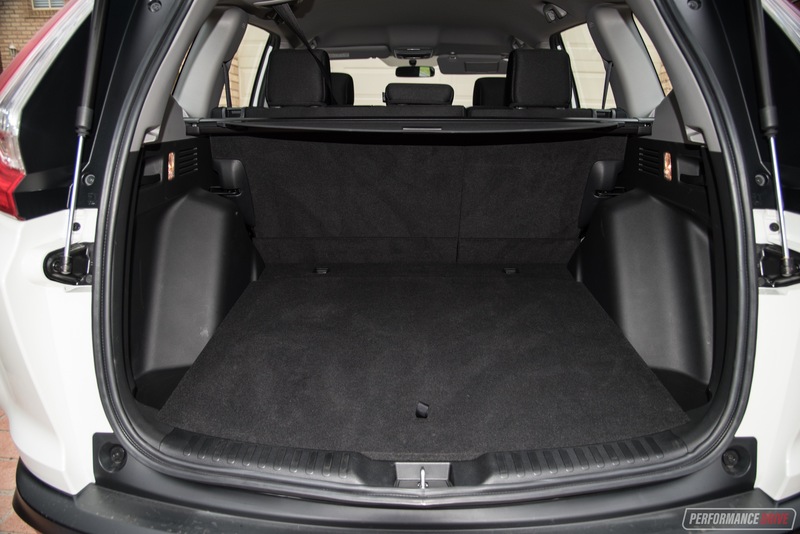 You’ll probably notice this is a small capacity to have, especially for a medium-size SUV. And you’d be right. This is the smallest petrol engine offered in this class. However, the power output places it right in the middle of its peers. 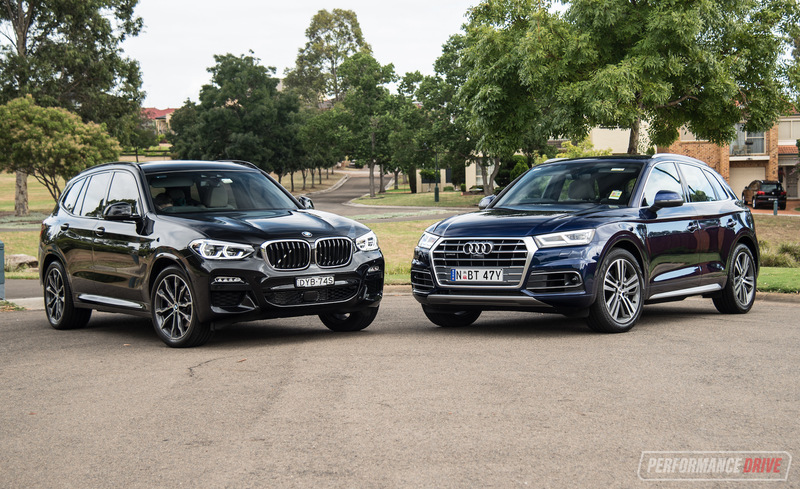 The torque is actually higher than most rivals, in the lower end of the range anyway (we’ll be doing a review of the upper end variants, including the VTi-L 7-seater and VTi-LX, soon). At 240Nm, it’s more than the 200Nm offered in the base 2.0L non-turbo CX-5, and the 203Nm offered in the base 2.0L non-turbo Tucson. You wouldn’t know this is a turbo engine. At all. 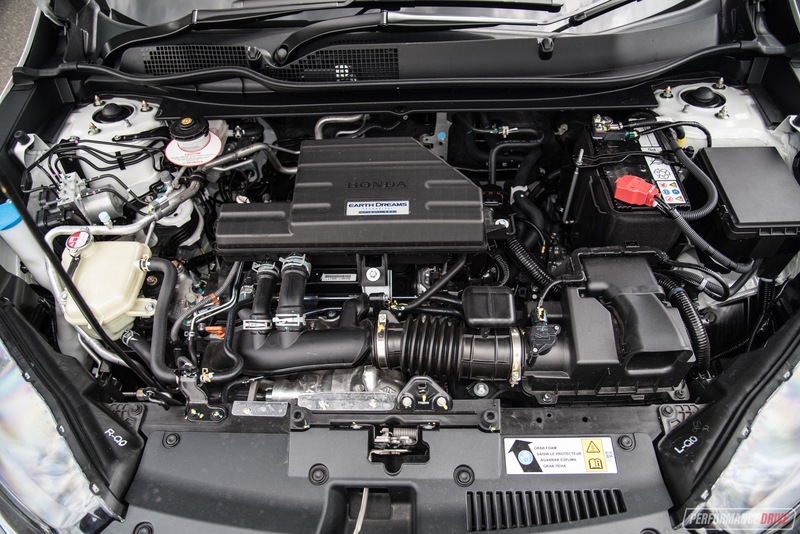 Honda has done extremely well to give this engine a traditional Honda character. The character of, ‘the more revs you give it, the more power you get’. Most engines are like this as well, but Hondas have always been extremely linear with power and torque delivery. Peak torque is accessible from just 2000rpm and held until 5000rpm, and peak power comes in at 5600rpm. You can rev it above 6000rpm with no complaint, and it sounds exactly like a non-turbo Honda engine. It features the iconic VTEC variable valve timing technology too, which will keep the fans happy. Across such a long journey in the VTi model we saw the fuel economy drop down to around 6.2L/100km. Interestingly though, urban driving in and about the suburbs saw the average climb to only 6.6-6.7L/100km. Hondas always get very close to the official combined cycle test figures, and in this case the official rating is higher, at 7.0L/100km. For the 4WD it’s rated at 7.4L/100km and we managed around 7.2L/100km. You can expect to get very near these figures in the real world, or even below as we did in both variants. On the highway the potential full-tank range is about 850-900km (57L, 91 RON compatible), without the eco mode. 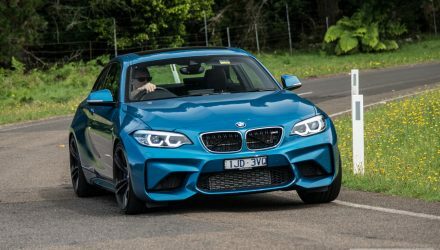 The eco mode slackens the throttle response and has the potential to save more fuel, but we didn’t really notice much difference in the real world. Still, the novelty of it does entertain you, to some degree. Lastly, the acceleration and performance. As a base model this engine performs adequately. 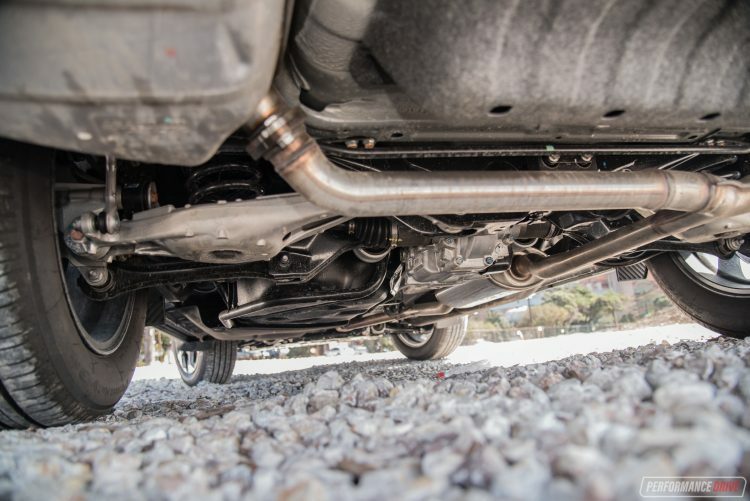 With more power and torque than most base model rivals, it’s hard to complain. 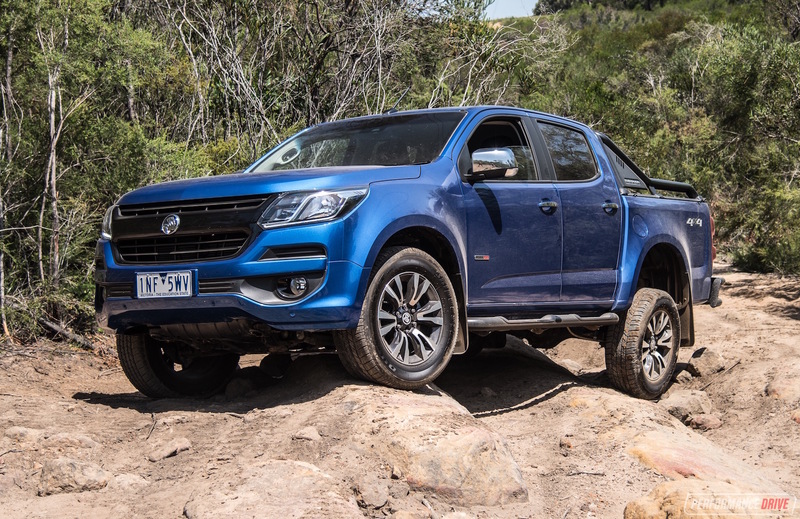 We clocked 0-100km/h in 8.15 seconds in the VTi, and 8.5 seconds in the 4WD models (4WD models weigh between 60kg and 94kg more than the 2WD, depending on the variant). These are pretty quick times for this class. 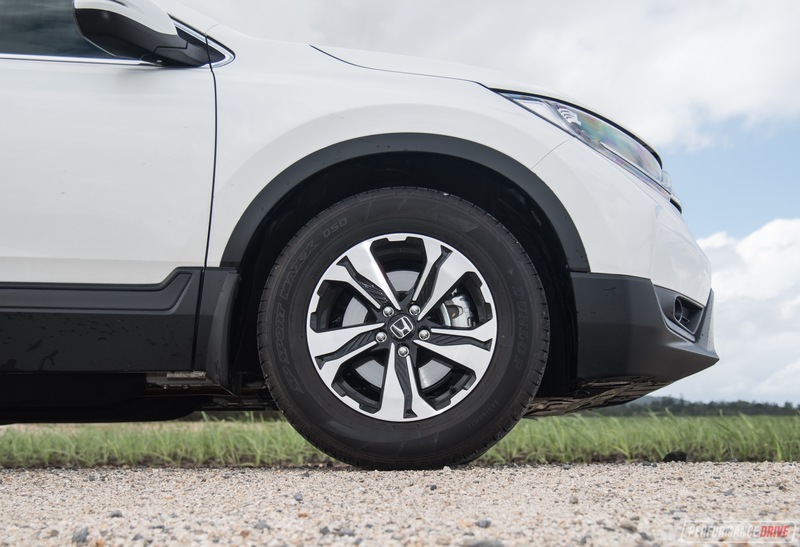 The VTi has a kerb weight of 1536kg, and the VTi-S 4WD weighs 1597kg. These weights are about average compared with the latest rivals. 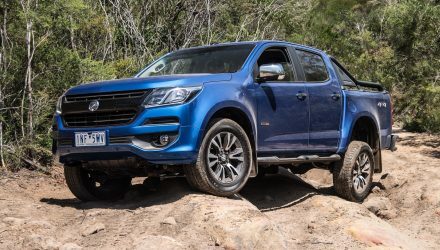 If it means anything to you, the 2WD model does feel a bit brisker off the line, however, the 4WD does feel more solid and secure, particularly in the wet, like most 2WD/4WD comparisons. Acceleration is watered down by the CVT automatic. Honda, like Subaru, seems to love the CVT tech. We don’t. We get it, this is just a family-friendly SUV. But we can’t help but wonder what it’d be like to drive with a conventional slick-shifting modern automatic. It would be quicker, we think. 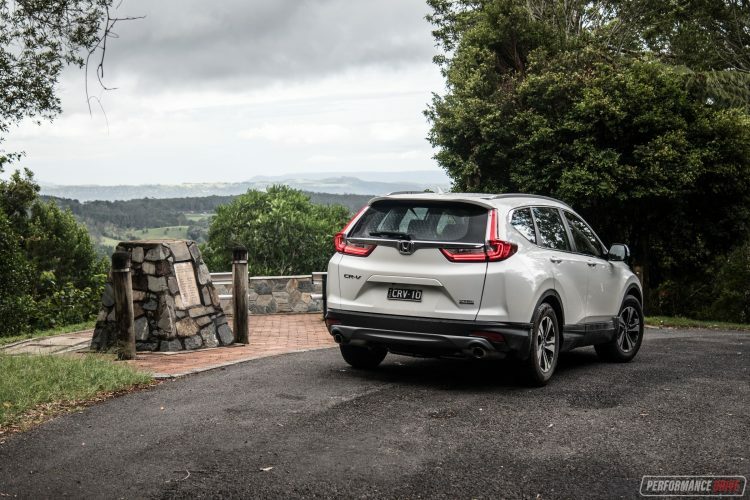 Overall though it’s difficult to give the CR-V demerit points for having a CVT, as it does everything you need in everyday conditions – where this vehicle will spend most of its time. 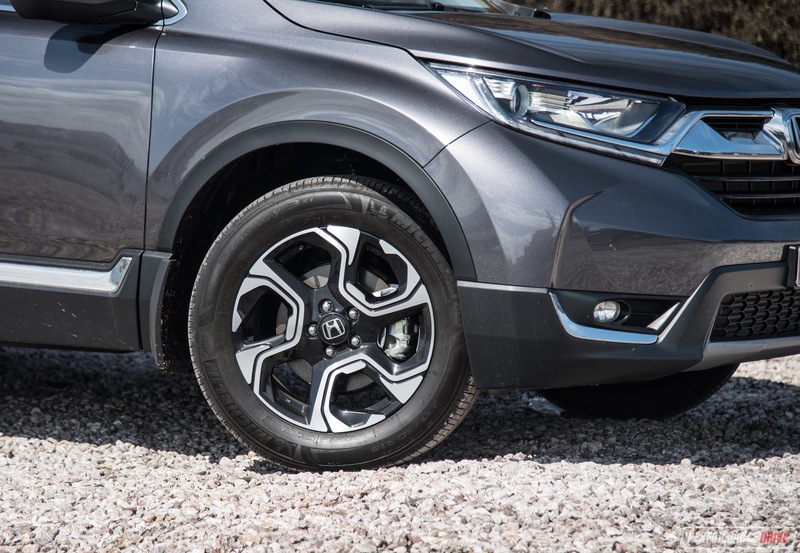 The only real area where the CVT fails is the fact it won’t provide engine braking when travelling down hills. You can use the gear selector to ‘shift down’, but this is artificial and it provides no deceleration force. Honda has created a very comprehensive, user-friendly, and excellent value-for-money SUV with the new CR-V. By today’s standards and where the current benchmarks are sitting, the CR-V is an extremely compelling and thus convincing package. 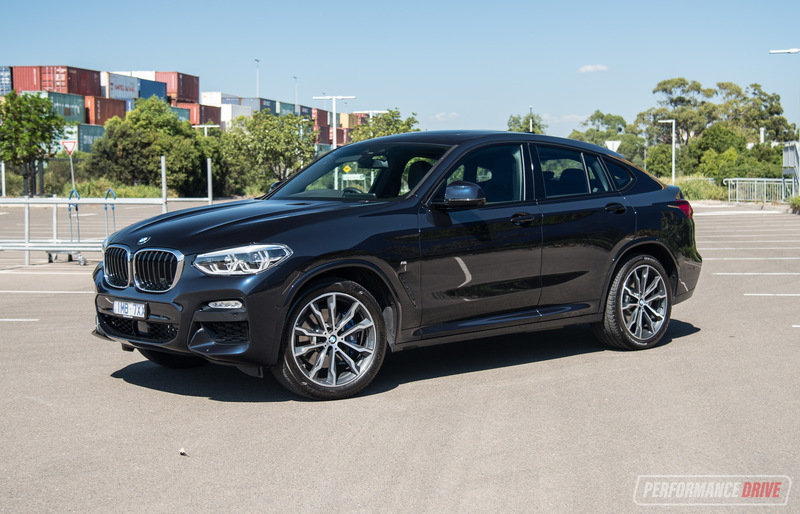 It is a game-changer, and, in our view, it becomes the new best SUV in the class. 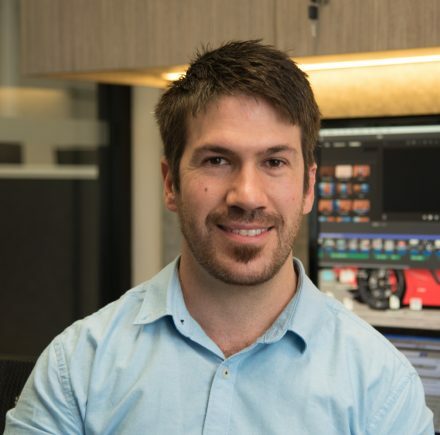 It covers all of the important areas that buyers prioritise for this type of product. 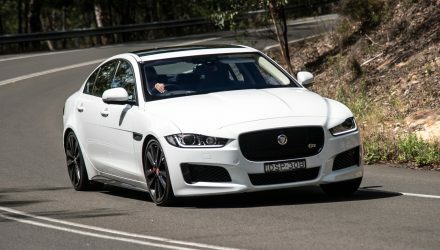 If you are in this space we recommend you at least take one of these for a good test drive before signing the dotted line on any rival. As for which variant to go for? We think they are all equally impressive. For sheer value for money it’s hard to go past the base VTi. 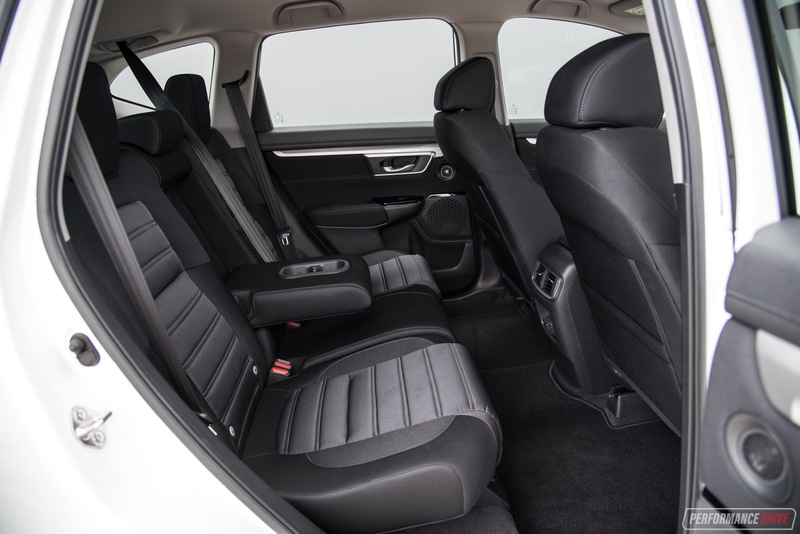 It comes with everything you need and more, featuring the same seat trim and advanced tech as the VTi-S. 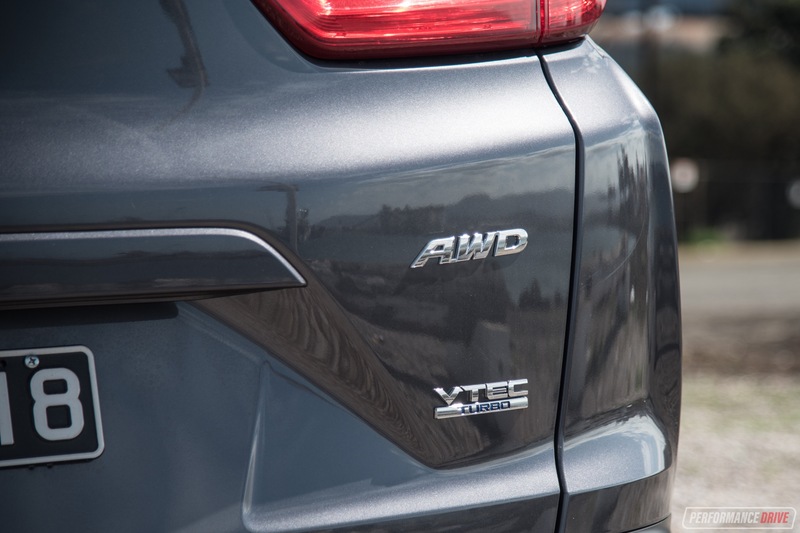 If you’re planning on heading off road every now and then or regularly travel to the snow, the VTi-S AWD is the one for you. Stay tuned for our VTi-L and VTi-LX review for more.